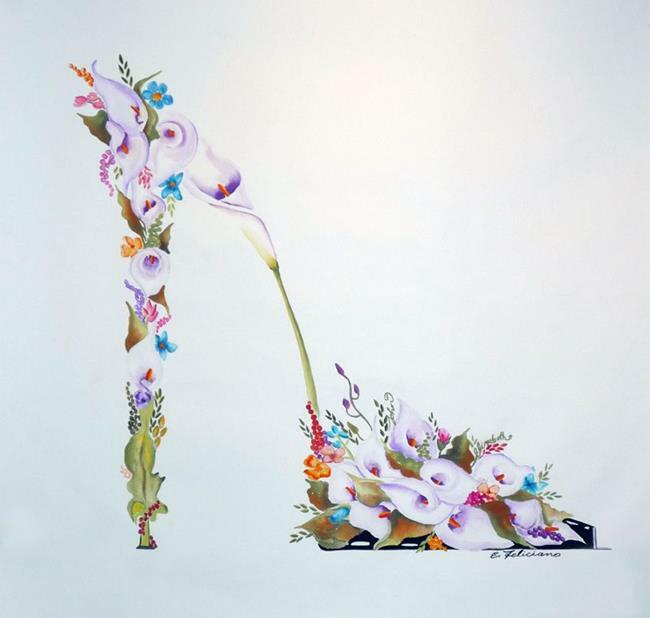 This is a beautiful Cala Lillies bouquet stiletto that was commissioned by a client as his wedding anniversary gift to his wife. Lucky gal! !